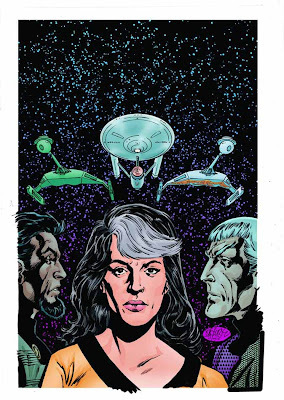 Comics Continuum have released IDW's solicitions for October, which include three Star Trek comics and three omnibuses! Ambassador Spock has returned to Earth but why?! The answers may lie in another previously untold tale from Spock's life, starring Lt. Saavik, of Wrath of Khan fame! The secret behind Spock's journey is revealed here! 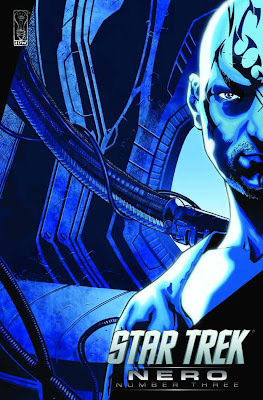 The explosive return of Star Trek has rocked movie theaters worldwide, and IDW's exclusive movie prequel comic Countdown is the perfect accessory for fans of the film, and it's now available only for the direct market in a limited edition hardcover! Eight years before "The Cage," the young woman who would become the Starship Enterprise's "most experienced officer" was a lowly cadet assigned to the shakedown cruise of an uncommissioned starship. But that supposedly pedestrian mission may just be the most dangerous of her life. The most important "lost" tale of the Star Trek saga can now be told: The final mission of the original Starship Enterprise and her crew. 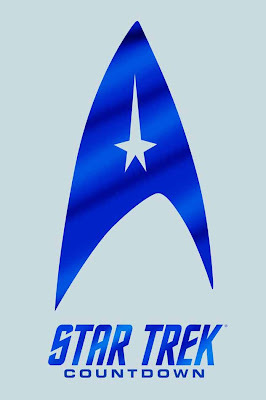 What prompts Mr. Spock and Doctor McCoy to retire from Starfleet? What earns Kirk his promotion to Admiral? And what is the mystery of Archenar-IV that threatens to tear the Federation itself apart? All will be revealed in this collection of the five-issue mini-series, with appearances by fan-favorite characters.